Before I saw you enter a room. To get lost in the world of fiction. Before I had your name and number. More than often, to catch your eye. And chatting with you the days I’m lucky. My poems lost their rhyme. Happy World Poetry Day, especially to all my muses who will never read my poems, but are the reason I write. How did you spend the first day of spring this year? 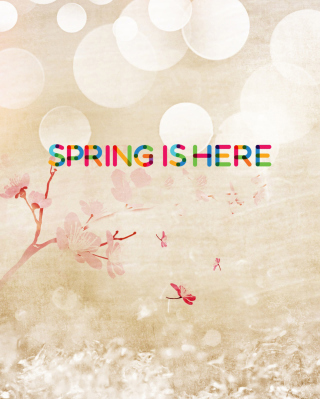 Its the first day of spring! Old news, I know, its all over Facebook and twitter. But don’t you think there’s good reason for this hype? Like it IS the first day of spring, and that just sounds so special. Its the beginning of another year, according to Nature’s calendar. Where I live, the cold winds are gone, the humid heat is back, exams are almost over, schools having end of final terms. My first day of spring this year? It was a train wreck. I woke up to a busy Sunday, chased some dreams that aren’t mine, visited some people I’m supposed to know. Came home with the windows rolled down, wind ruffling my already untidy hair, headphones in my ear, eyes on my phone screen. Read some texts, not ones that were sent to me, but to someone else, and realised that nothing matters in the end. Nothing I do, nothing I say, will ever make this fine, ever make me good enough. And as the final blow, I flicked through the pages of an old Facebook account, not mine. Those things, these old posts, they should be banned. New friends. Old friends. New crushes. Old ones. That was my February, and here are the songs that played in my head all month. 1) Tullianum- Eluvietie : Just 24 seconds long, and i didn’t even really understand the lyrics. But it broke my heart. 3) Daylight- Maroon 5 : Started watching The Voice, fell in love with Adam Levine All. Over. Again. And that led to hearing his songs over and over and over again. This one stuck. 4) Sherlock Theme : I don’t even watch Sherlock. But some memories..
8) Come Wake Me Up- Rascal Flatts: But I know I’m not lucky enough for all this to be a dream. 9) Hamdard- Arijit Singh: Memories. 10) Har Kisi Ko- Arijit Singh: Two voices mingling. Its just that hearts don’t mingle so easily. What where the songs that YOU heard this last month of winter?